With all of these posts about my tea making process, I realized that I hadn’t ever said much about the amount of tea that I’m using. Time and Temperature are very important factors when making tea, as well as the tools you are using. But the amount of leaf in your pot can have just as much of an effect on the finished product and the steps you take to get there. 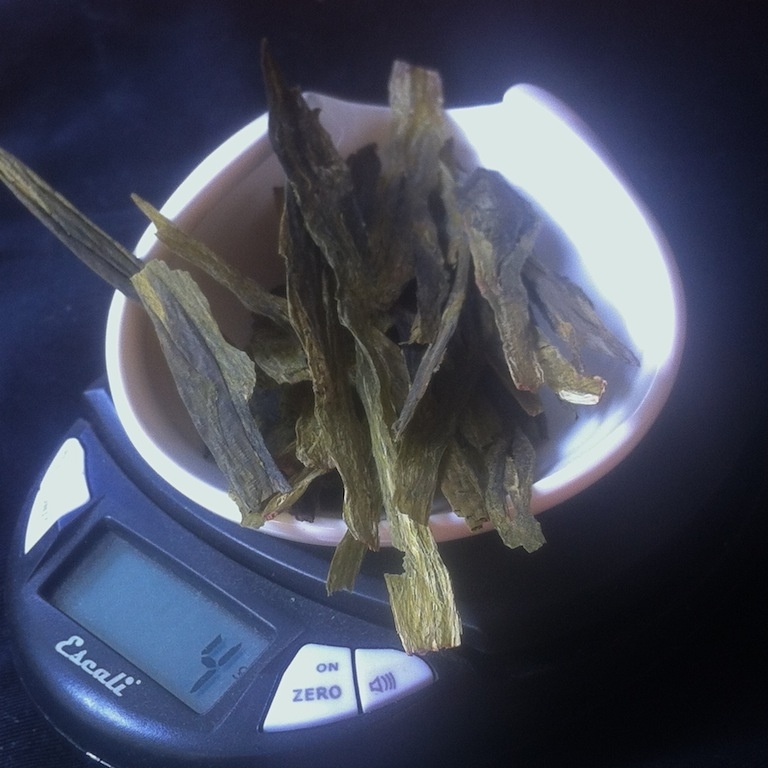 My general guideline for a 150-200ml pot or gaiwan is about 4g of leaf. Ah, but what if you don’t have a scale? In fact, I almost never use a scale myself, so not to worry, with some experience you can make a pretty good guess. The first rule of thumb is to just cover the bottom of your brewing vessel with a layer of leaves until barely any of the surface is showing. This is almost always an accurate measure for a gaiwan (of any size!). Secondly, you need to think about the tea leaves themselves. This is the part that trips up even the seasoned tea devotee. Why the difficulty with this measure? Because different teas are dried differently. A full leaf white tea takes up about 5 times the volume of a rolled oolong. 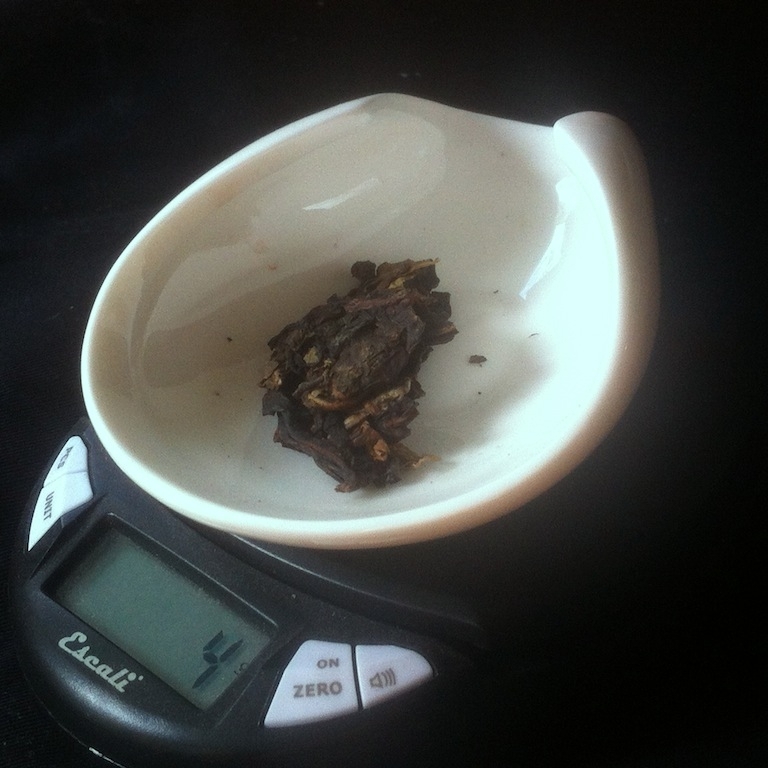 And a small chunk of Puer can weigh as much as a whole package of black tea. A finely cut Japanese green tea can weigh twice as much as a green Chinese leaf. 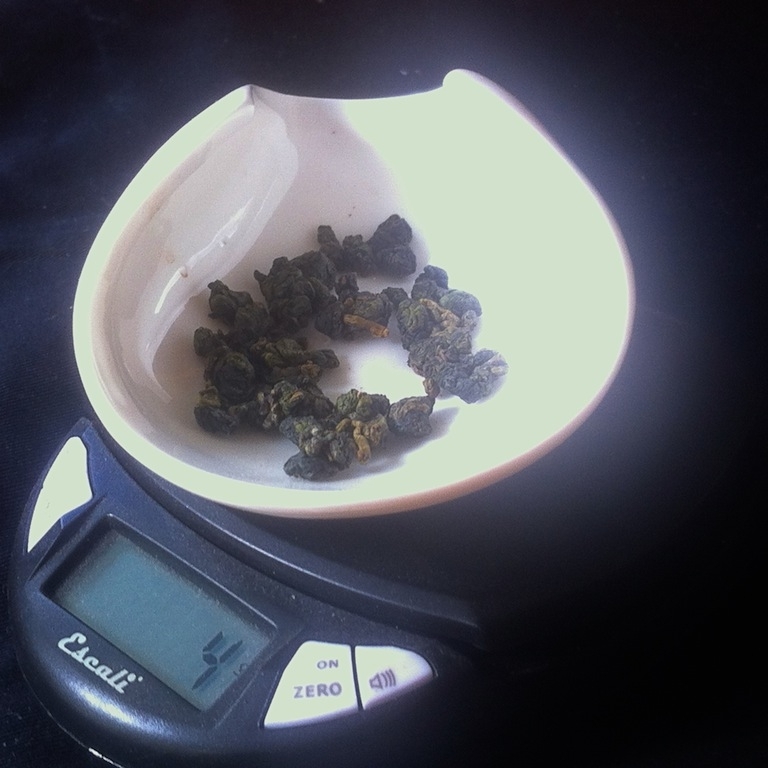 To help with this conundrum, I’ve taken photos of different teas, each measured to 4g for comparison. The key to getting the right amount of leaf is just considering the density of a tea before you brew it. These are the density categories I use: Fluffy, Fine, Twisted, Rolled, and Dense. Full leaf white tea, many full leaf Chinese greens (except Liu’An Guapian), some Chinese (generally Yunnan golden needle) black tea, a few oolongs (Bai Hao). Use more leaves than you think. Japanese greens, any broken tea (a damaged full leaf tea or tea bag tea no matter how high quality the bag supposedly is). The trick here is to use more leaves than you think but brew them very gently. Use cooler water around 70c or lower and keep infusion times very short (5 seconds to 1 minute). 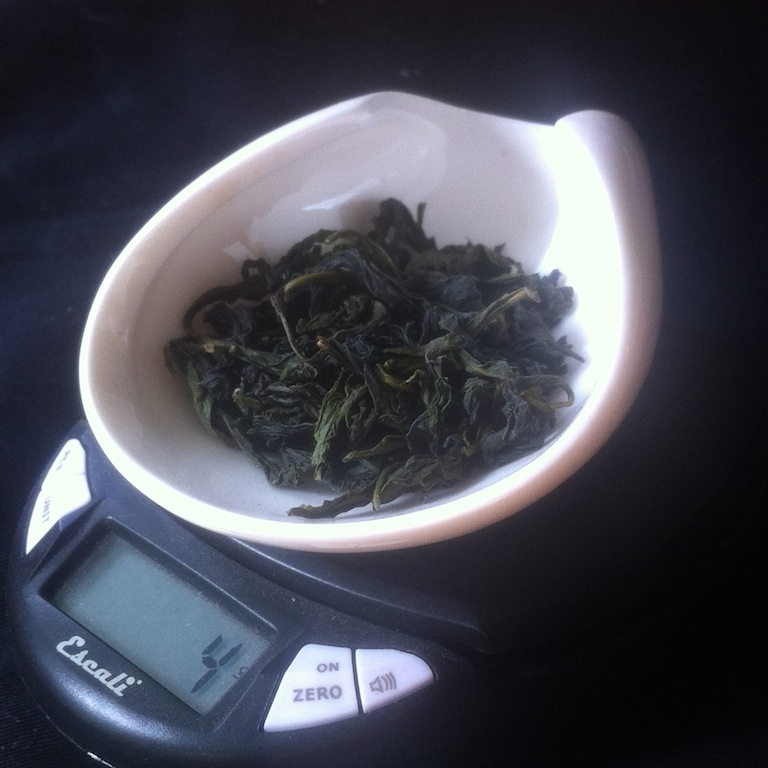 Bao Zhong, a Twisted Oolong. A few Chinese greens (notably Liu’An Guapian), many Oolongs from southern China and Taiwan (not rolled into balls), some full leaf twisted black tea (notably no. 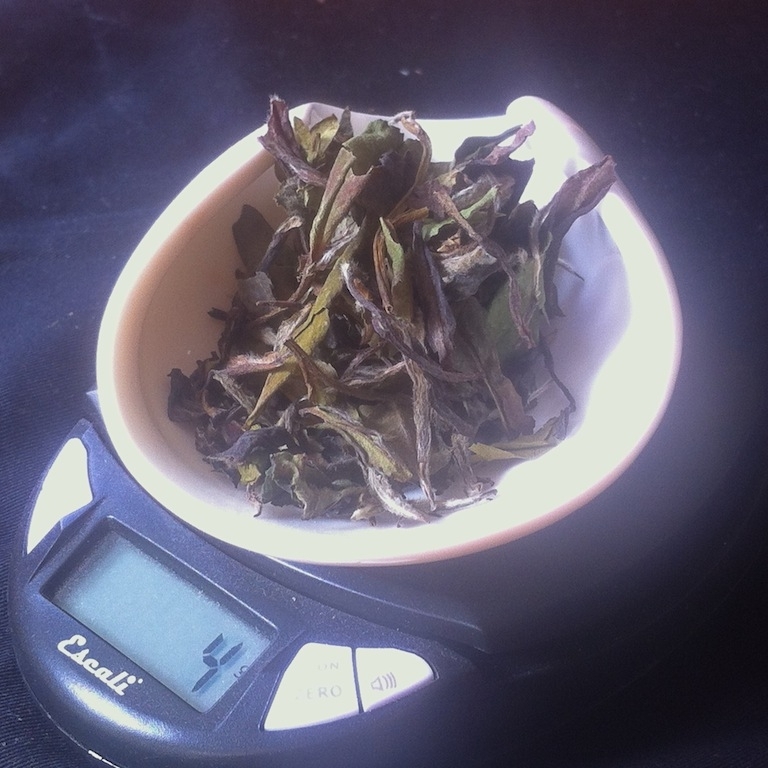 18, Sun Moon Lake, Qi Men, Dian Hong, Darjeeling first flush). I also put loose Puer in this category. A medium amount of leaf, just covering the bottom of your infusing vessel. Ali Shan Jin Xuan, a Rolled Oolong. Most Taiwan oolong (except Bai Hao and Bao Zhong), a few Chinese greens that are rolled into balls (except Zhucha/gunpowder). A small amount of leaf, not quite covering the bottom of your infusing vessel. These teas tend to expand a lot (I’m always surprised how huge they get) and if the leaves become so packed that the tea cannot move around, the flavors will be blunt, strong, and boring. Brick Puer, gunpowder green (Zhucha). While it’s certainly possible to use a small volume of leaf for these teas and steep for 2-3 minutes, I prefer to use a medium amount and do very fast infusions (5 seconds to 1 minute). 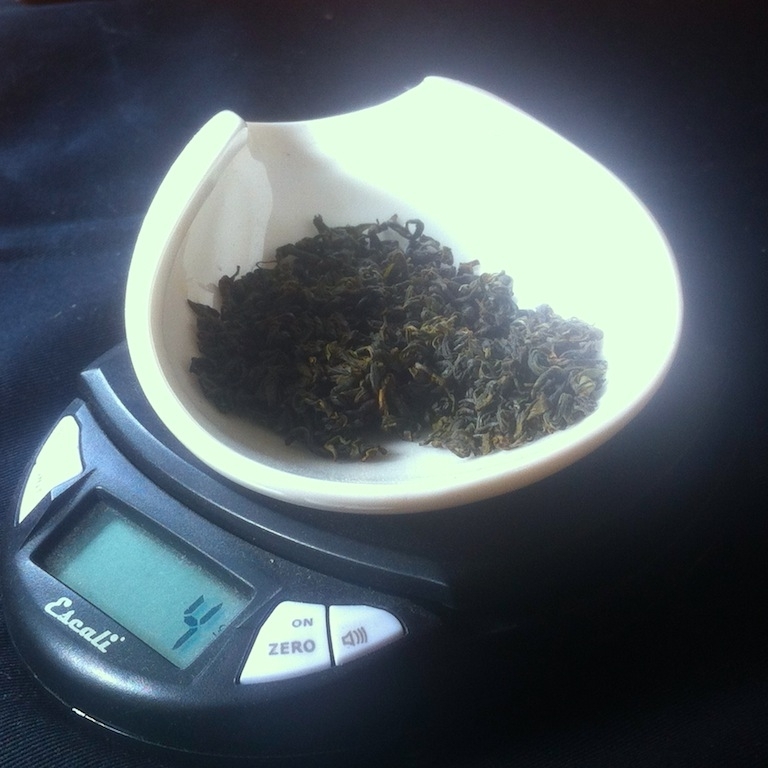 As you might be able to tell from my notes, the more leaves (by weight), the faster and stronger the tea will infuse. Using lots of leaves just means that you may need to decrease the infusion time (or the temperature) to keep the tea from becoming overly strong. If you steep a tea for 10 seconds and it’s unpleasantly bitter (something that happens to me all the time), then you really just have too many leaves in the pot. Similarly, if steeping a tea for 3 minutes gives you no flavor at all, you may want to add some more leaf. As with any “rules” surrounding tea brewing, keep in mind that these are just suggestions based on my experience. Your taste may vary considerably and so it’s vital that you experiment to find the time, temperature, and quantity that fits you best. This entry was posted in Method and tagged gongfu, gongfucha, oolong, puer, tea, tea preparation on October 23, 2013 by payton. So so important. I spent so much time looking at the temperature and warming the pot and watching the time but not enough focus on the amount of tea I was using. Amazon sell sales that measure low weights accurately and they start from about £6.